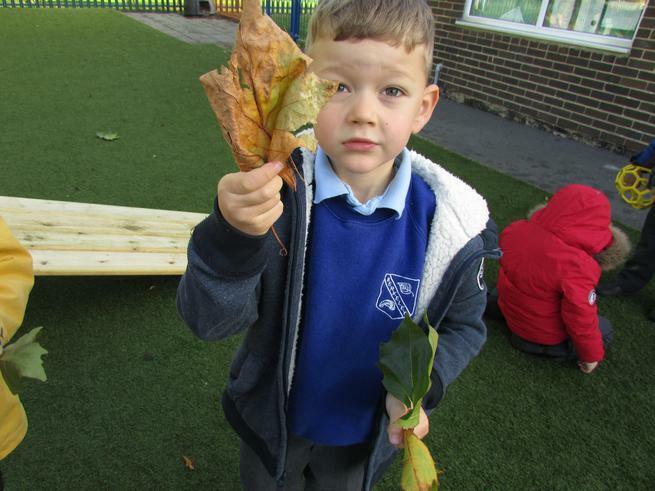 A few of the children went for autumn walks with their families and brought their finds back to school to share! Well done Toby and Zak! 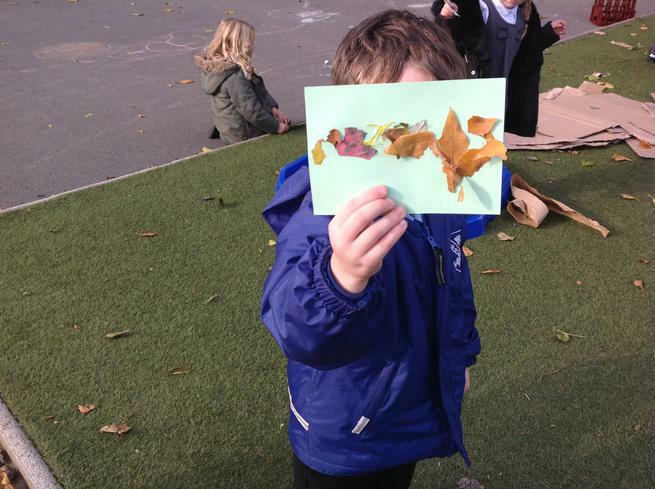 We went for an autumn walk and collected different colours for our sticky pads! 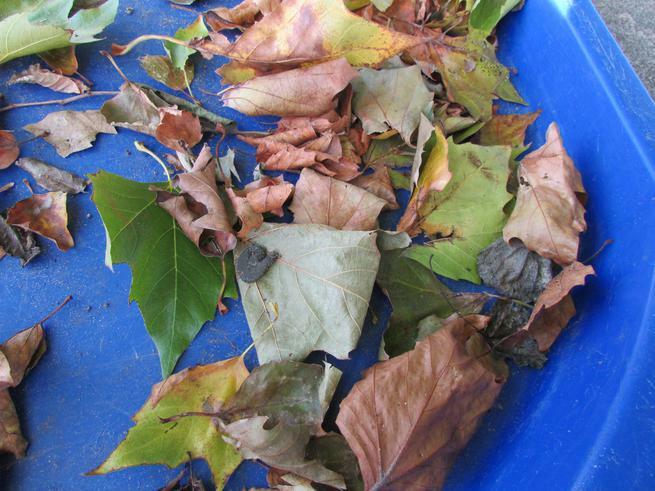 Outside, we noticed that some of the trees are starting to lose their leaves. We also helped to get some pots ready for the winter. We pulled out the weeds and summer plants. 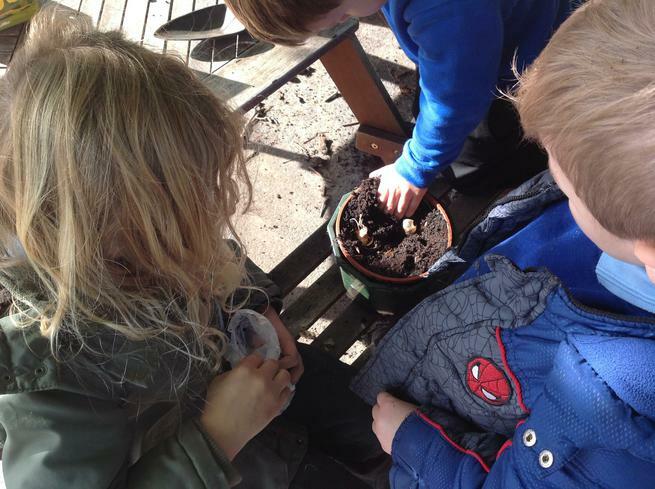 Then we added some bulbs! We will have to keep an eye on them to see if they start to grow. 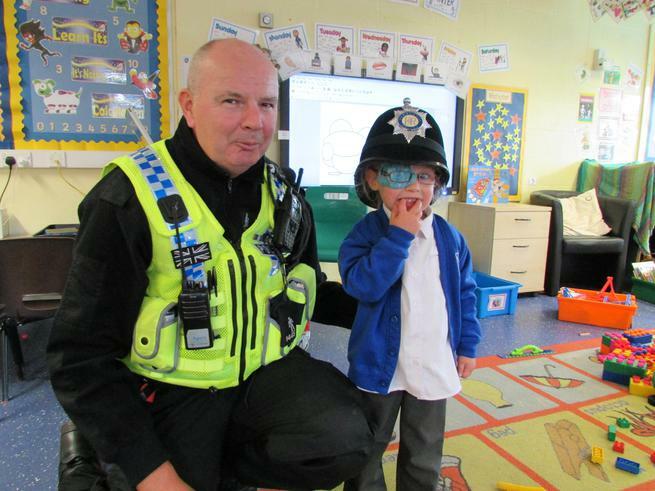 PC Martin came to say hello to us today! 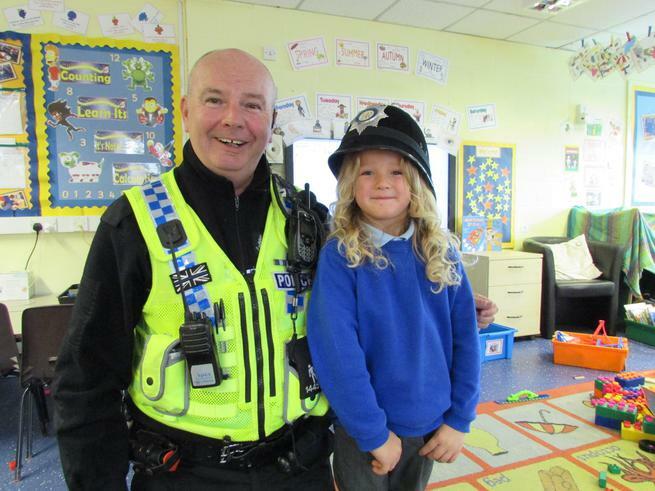 Some of us enjoyed trying his helmet on! Can you spot us in the slideshow of new starters from around North Lincolnshire?